Two months have passed since my last blogpost and the exhibition in Times Square. Thank you again for helping me choose which pictures should go up! I’m happy to say that things haven’t slowed down in the meantime. In fact, a lot has happened since then. Let me catch you up. My photography work has been shown in New York now a couple of times, most notably last year at the Orensanz Gallery and this summer at Times Square. Last year one of the pictures I took at the Incubate Festival graced the cover of online magazine The Quietus. I felt honored and privileged to have this kind of exposure for my work. Now I’ve been given a chance to exhibit my work at the Amsterdam edition of a large worldwide art exhibition, the Affordable Art Fair. The fair is held at the Kromhout hal and it is known for its’ focus on relatively unknown artists. Because of this, all the art on sale at the fair is (as the name suggests) affordably priced. As incredible as hearing the news of the exhbition was, there was more to come! You might know that last year I directed and shot a music video for Rodèlle’s track “I’m afraid I’m not” (included below for your viewing pleasure). If you’ve seen it (and if not, you should! 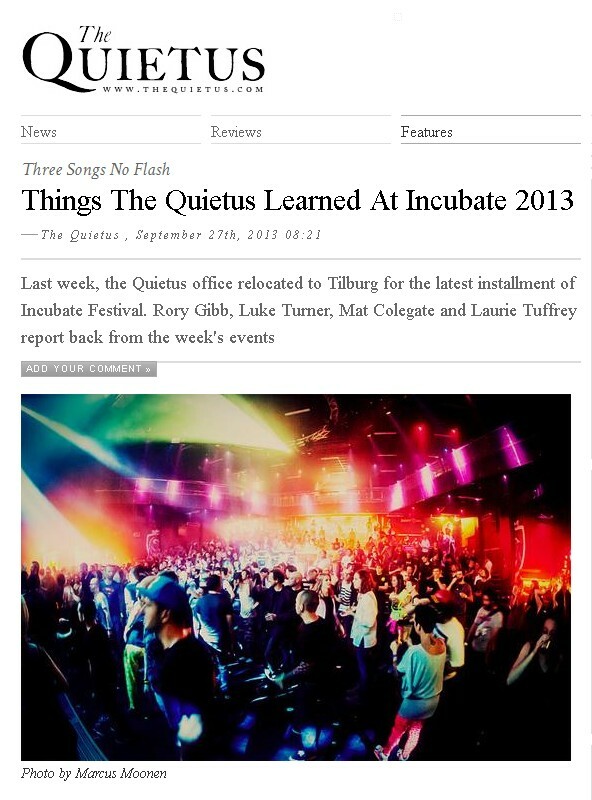 ), you might agree that it is far from mainstream and may even be considered a bit out there. So when I sent it out to a slew of filmfestivals earlier this year, I had not much hope of it making it through any selection. I shouldn’t have been so quick to dismiss the selectioncommittees of these festivals, because last weekend I received an e-mail that blew my socks off. 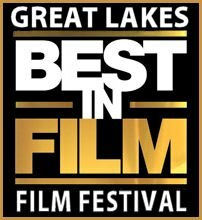 The Great Lakes International Film Festival selected “I’m afraid I’m not” for inclusion in the festival. It is my first film to be selected for a filmfestival and I have to believe that it is not only my direction, camerawork or editing that grabbed their attention, but also the outstanding track the video was made for. My friend Rodèlle deserves as much credit for this as I do.